Written By Levi Jubelt, Media by John Freeman. It’s that time of year again when the days grow shorter, the leaves change color, the nights get colder, and the kids get cavities. I am of course talking about Halloween. Whether you are a fan of Halloween or not, we all can agree on one thing and that is candy. Children, teens, and brave twenty year olds venture out on this night to collect as much sugar as possible. 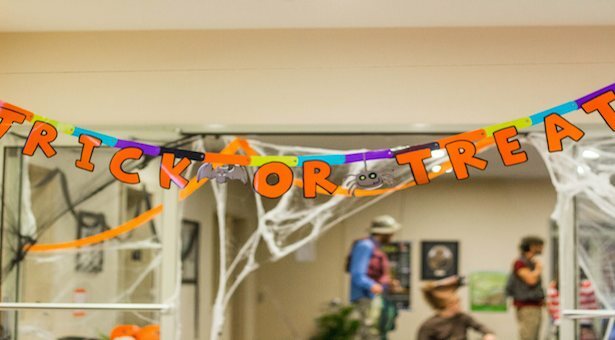 Greenville College helps kids gather even more sugar by hosting themed resident halls for them to go through and get candy. This year Joy, West Oak, Janssen, Mannoia, and Burritt all decorated for Halloween and distributed candy to those who came through. 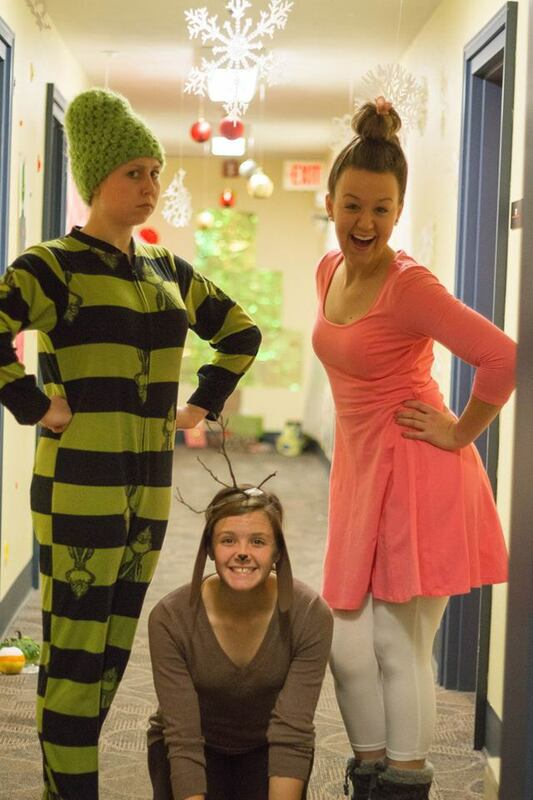 The resident chaplains of Burritt decorated their halls in a Dr. Seuss theme. They filled the halls with vibrant colors and all sorts of Seuss decorations. There was a Lorax and I even saw a Thing or two. After exiting Burritt you walk down the hill and you end up at West Oak Hall. The guys at West Oak decided to make their theme Frozen. They lined their floors with cotton ball snow, hung snowflakes from the ceiling, and had blue paper everywhere. The last thing you are greeted with as you exit the building is a smile and a piece of candy from everyone’s favorite princess, Elsa. 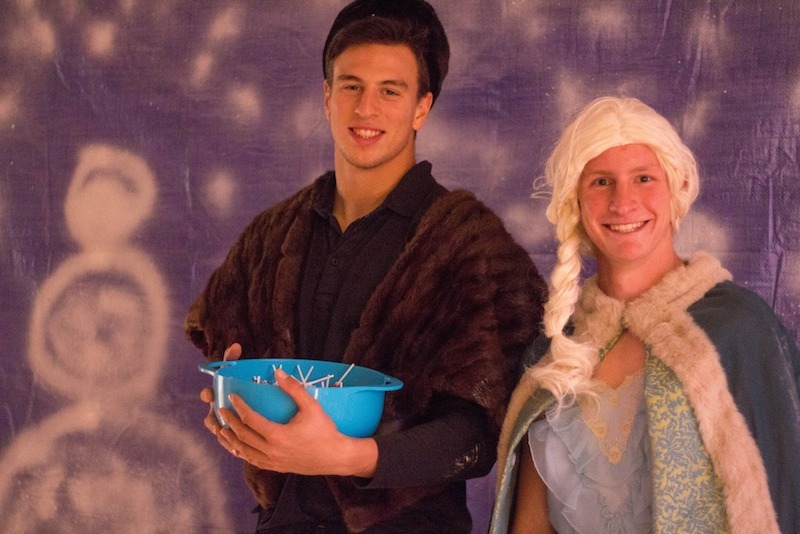 Corbin Quinonez and Jacob Jones dressed as Kristoff and Queen(?) Elsa. The next stop in the GC trick or treat route is Janssen Hall. The Janssen men tried to bring the fear with their ghost hunters theme. This tour asks you to walk the halls of Janssen hunting down the ghosts that have taken up residence. You walk through darkened halls, lit with black lights, shooting the ghosts with darts to scare them off. There was one ghost that quite honestly scared the crap out of me. 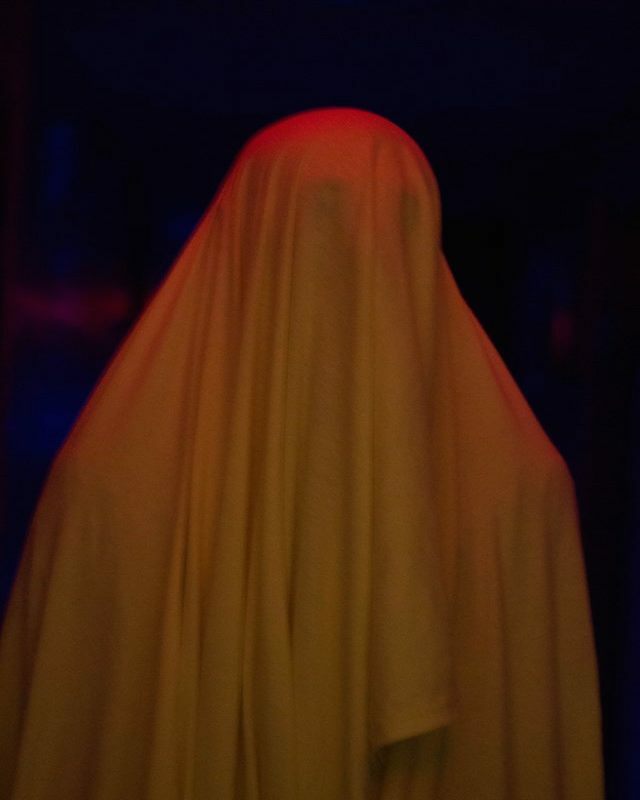 The ghost was completely covered in a black morph suit with a creepy white mask on its head that really stuck out thanks to the black light. Oh, and it quietly crawled along the ground making grunting noises. No thank you, go away. Moving away from ghosts, we head on over to Joy Hall and enter Gotham City. The Joy Boys dressed up as favorite villains such as Bane, Penguin, the Joker, and Two-Face. Officer Gordon and Robin asked those brave enough to come to help them defeat the villains and save Batman. Along with a fun idea and well done costumes, there was a mini cardboard Gotham City at the end, which was awesome. 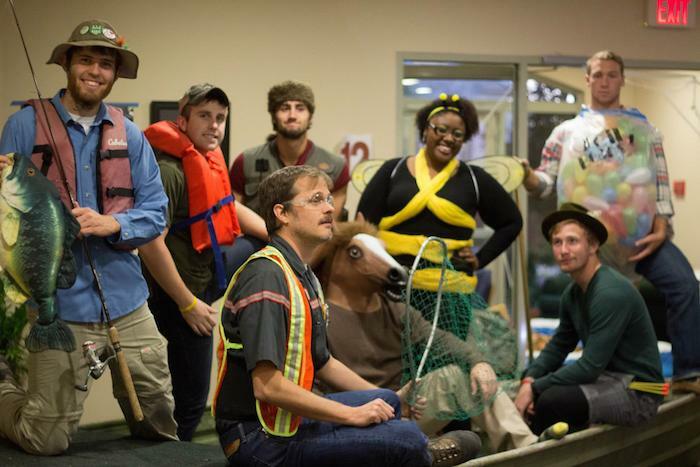 The last stop in the GC trick or treat tour was Mannoia Hall and their great outdoors theme. This relaxing theme had a spot to go fishing, a place to pet horses, and a good old fashioned tent to lie down in before grabbing some candy and heading out. 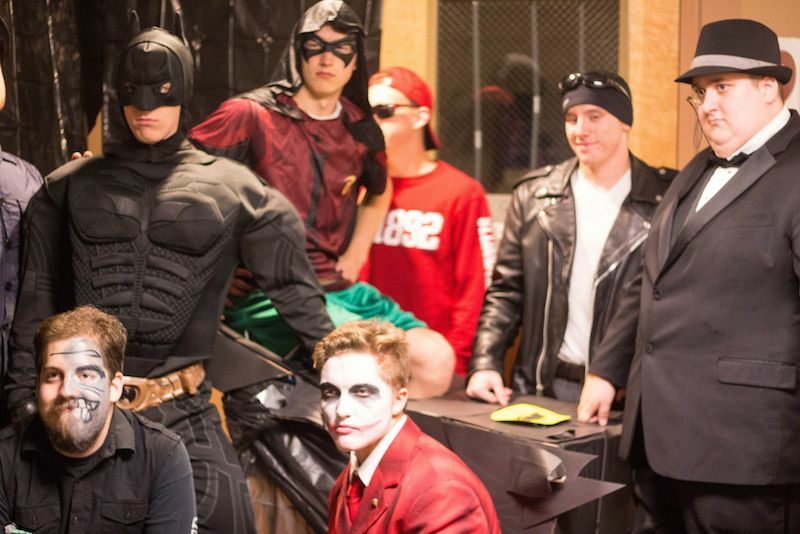 The men of Joy Hall all dawning their batman themed costumes. The men and women of Mannoia and Holtwick dressed to match an outdoorsman’s theme. All the resident halls that participated did an awesome job at decorating and giving kids a fun alternative to traditional door to door trick or treating. The themes were all creative and had a lot of hard work and dedication put into them. I hope next year we can see even better themes. Happy Halloween everyone! 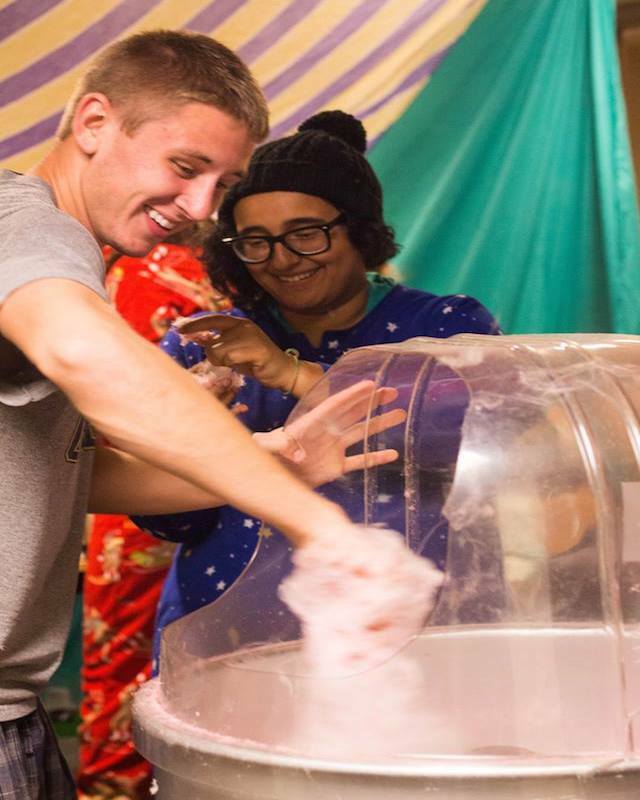 Greenville students Parker Wray and Annie-Lee Reyes making and enjoying cotton candy during the Halloween festivities.